Join us in celebrating the class of 2019! The graduation ceremony is an annual celebration open to all students graduating during the academic year, including summer quarter. "Graduation" and "Commencement" are terms of art. "Graduation" refers to receiving a degree once Evergreen certifies you have finished and completely fulfilled all degree requirements. 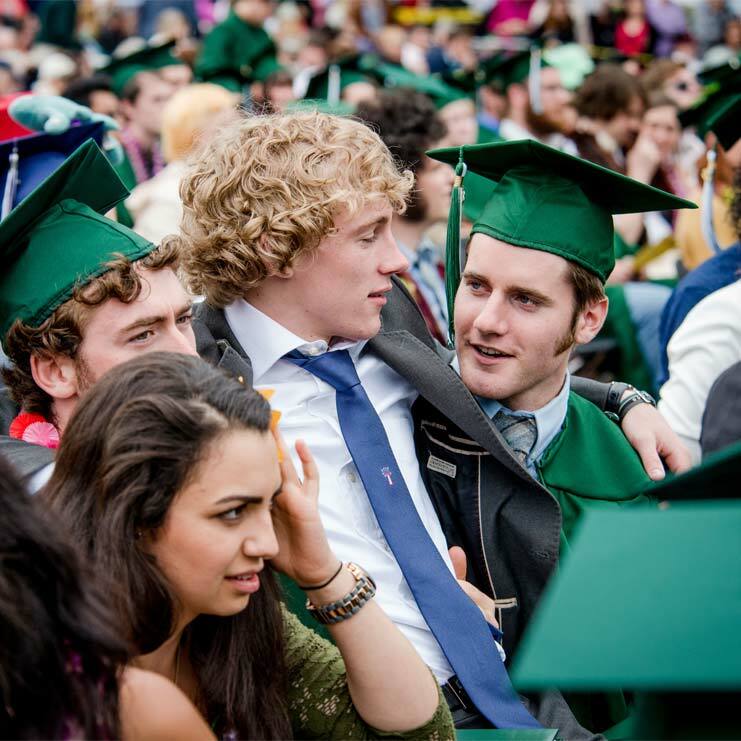 "Commencement" is the symbolic ceremony marking the closing of your academic career where you receive commendation for your hard work at Evergreen. It is an opportunity for you, your family, friends and the Evergreen community to celebrate your accomplishment. The ceremony will start at 1 p.m. and last about three hours. We ask that graduates and guests remain for the duration of the ceremony. The last person recognized deserves the same support, respect, and celebration as the first. Your presence is part of the graduation experience for all. Graduates, families, and friends will appreciate your thoughtfulness. We recommend early arrival for best seating and parking. Graduates are not required to wear caps and gowns, although many do. Evergreen’s graduation is known for creative garb! You can order a cap and gown through the bookstore. A cap and gown is not required; Evergreen’s graduation is well-known for creative garb! But many students do wear cap and gown as part of their regalia.